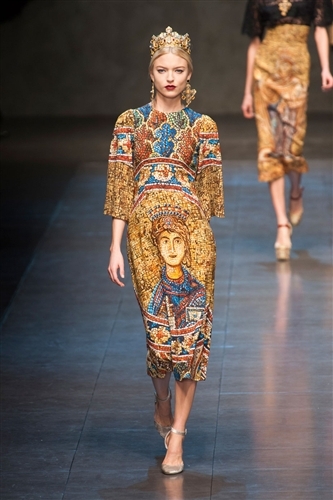 Domenico Dolce and Stefano Gabbana have always managed to take their audience around the world with them to wherever they were inspired, this season we were in the Norman Cathedral in Monreale Sicily. 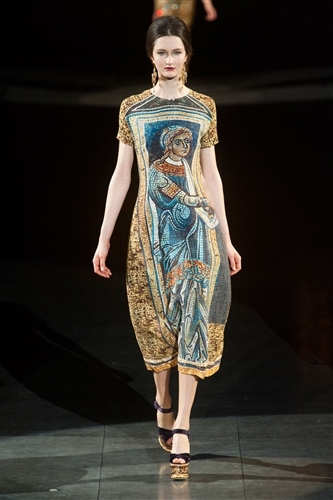 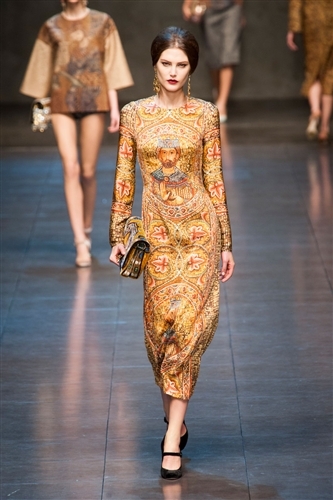 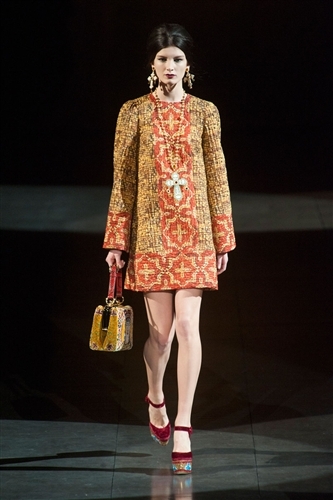 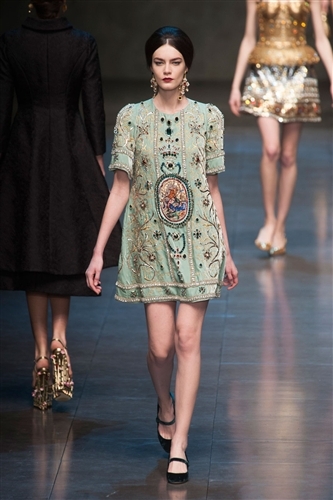 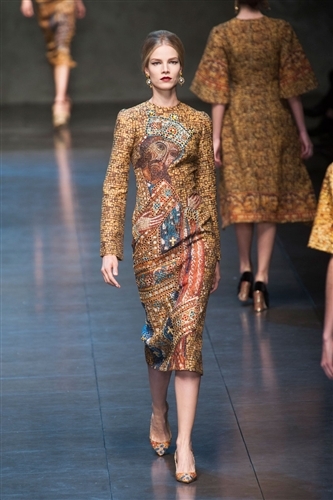 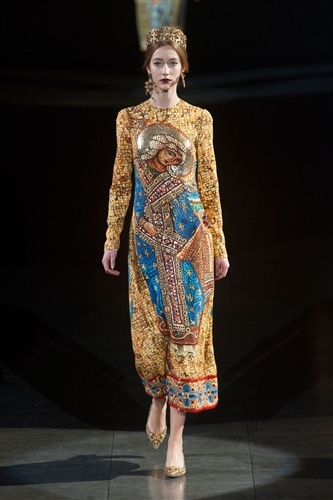 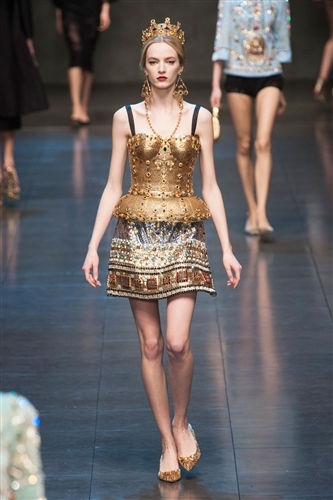 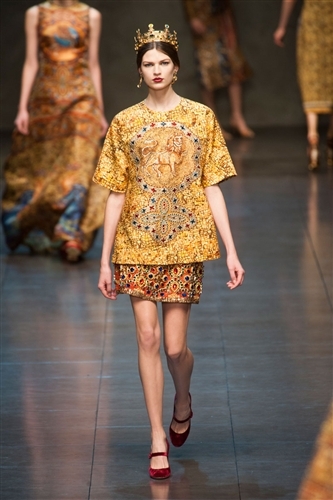 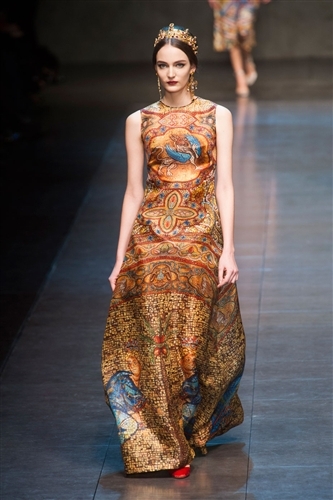 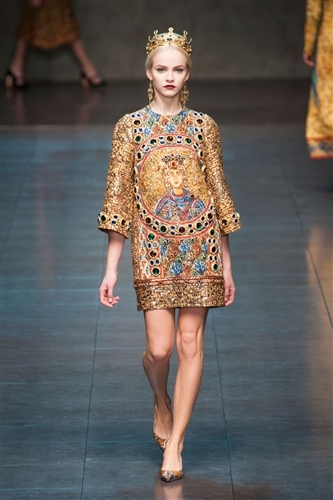 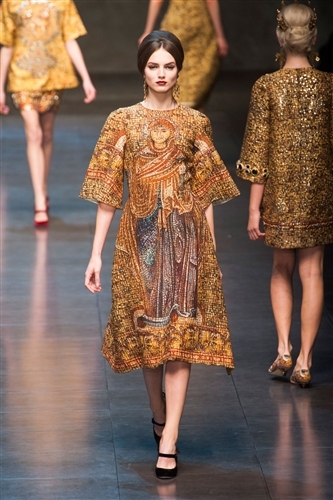 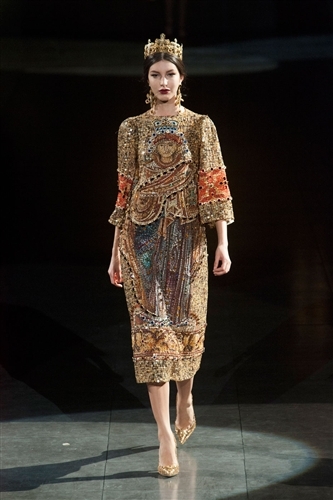 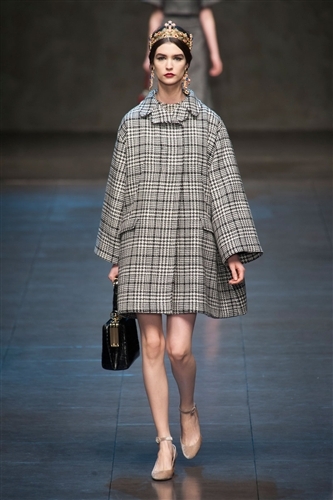 The famous golden mosaics there sparked an aesthetic inspiration that they carried back to the catwalk in Milan. 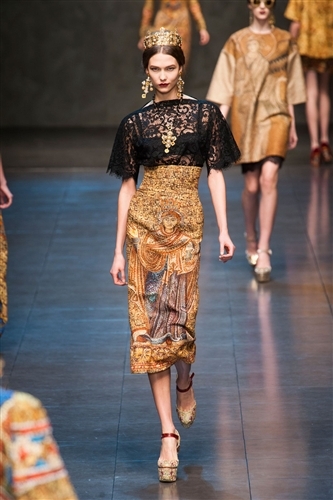 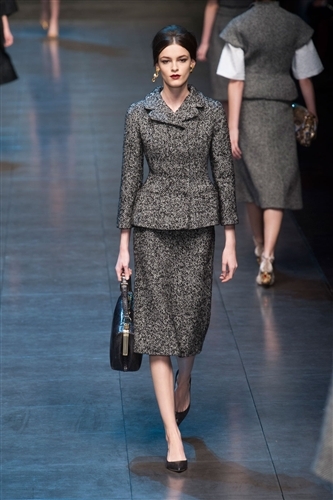 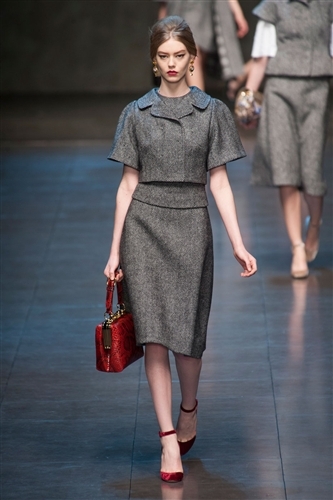 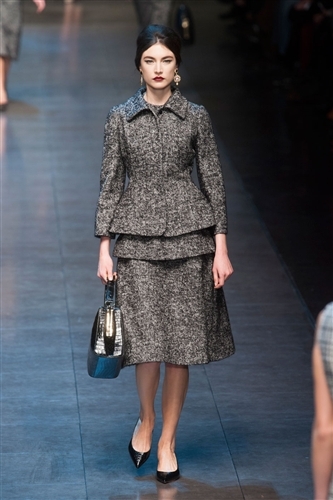 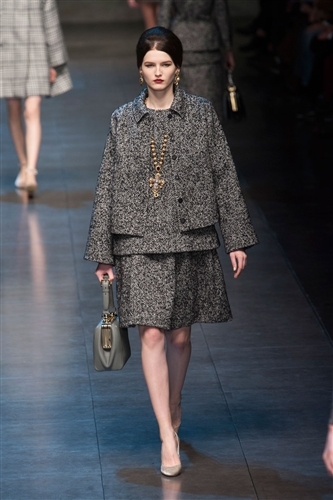 The collection was lavish from start to finish, with black lace, herringbone and metallic mosaic imagery. 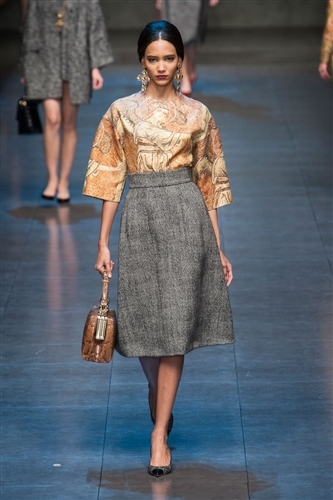 With all the rich, religious sentiment and embellishment the collection was in danger of looking too over done, but Domenico and Stefano tightened it up with nipped in waists, perfectly form fitting skirts and simple outwear shapes. 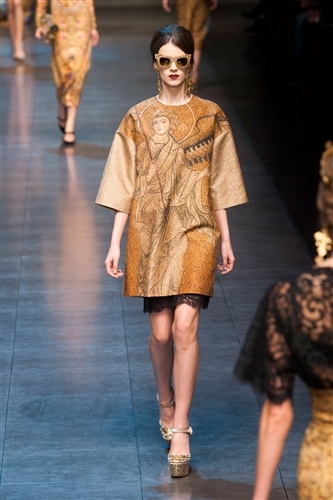 This rich and indulgent collection showed the design duos skills off to perfection and had everyone, for a moment, feeling a touch heavenly.